Alfred Nobel had a vision of a better world. He believed that people are capable of helping to improve society through knowledge, science and humanism. This is why he created a prize that would reward the discoveries that have conferred the greatest benefit to mankind. Since 1901, the Nobel Prize has been awarded in the fields of physics, chemistry, physiology or medicine, literature and peace, while a memorial prize in economic sciences was added in 1968. The economic foundations for the Nobel Prize were laid in 1895, when Alfred Nobel signed his last will and left much of his wealth to the establishment of a prize and the subsequent Nobel Foundation, which is tasked with a mission to manage his fortune and has ultimate responsibility for fulfilling the intentions of Nobel's will. In accordance with the instructions Nobel left through his will, various independent prize-awarding institutions have selected Nobel Laureates in each prize category for more than a century. 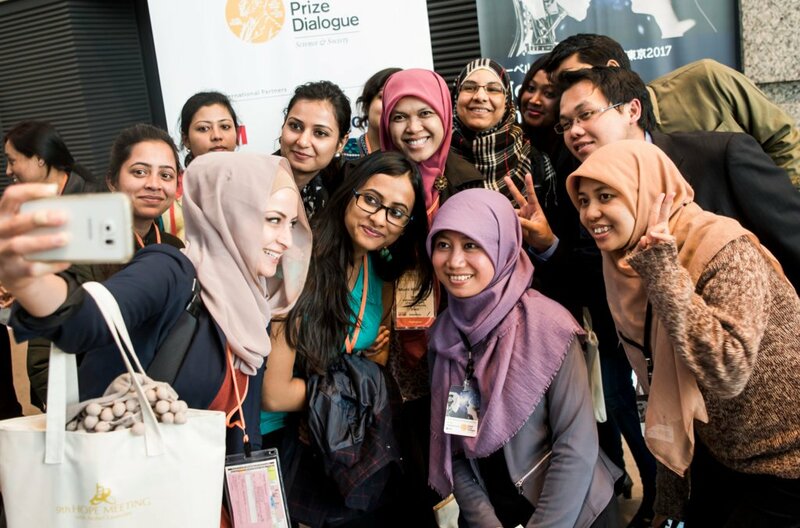 Today, there are also several outreach organisations and activities that have been developed to inspire generations and disseminate knowledge about the Nobel Prize through events, exhibitions, educational efforts and digital outreach. The Nobel Foundation has ultimate responsibility for fulfilling the intentions in Alfred Nobel's will. 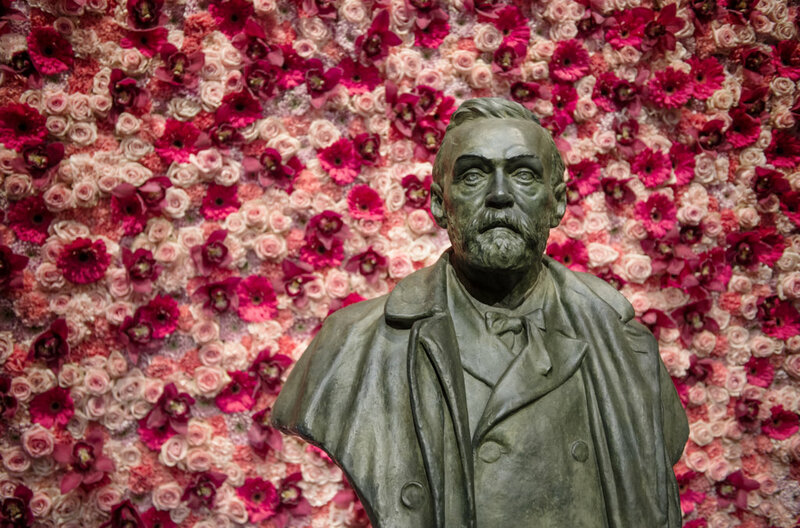 Flower decorations by Florist Helén Magnusson at the Nobel Prize award ceremony at the Stockholm Concert Hall, 10 December 2016. © Nobel Media. Photo: Pi Frisk. Alfred Nobel specifically designated the institutions responsible for choosing laureates for each prize. 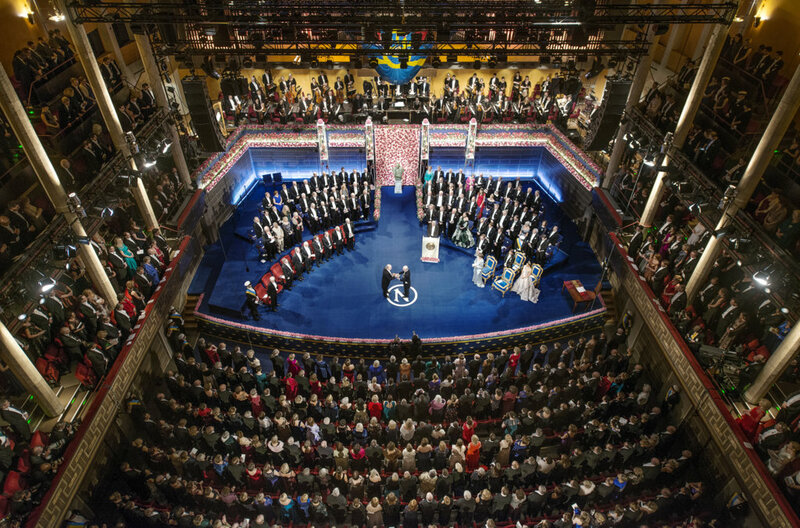 Overview of the Nobel Prize award ceremony. Interacting with, and inspiring, the next generation of scientists, discoverers and creative innovators is a key part of what we do. Attendees at the Nobel Prize Dialogue Tokyo 2017.